The birds flew back into our empty nest. Quiet slipped out the back door, to be replaced by chatter, showers, cars and friends galore. The living room became a drop off spot for book bags, jackets, and laptops. Oh, and shoes, brass instruments and music stands. They’re ba-ack. And oh how we welcome the noise, the people and the mess. I received an, “I’ll get it tomorrow,” but when I suggested before bed would be better, the items vanished. Wow! That was amazing. Their bedrooms filled with all the detritus from their dorm rooms took a little longer to sort out but that’s okay. They’re home. Young adults used to their own timetables and taking care of themselves. It wasn’t long before I said to my daughter about her bedroom, “Oh my gosh, I see your floor. It’s no longer the largest shelf in the house.” She gave me a smile instead of an eye roll. I’m loving this young adult behavior. Less than a week into our joyous nesting experience, we lost a few birdies. Our oldest daughter graduated from grad school and took off on a fabulous trip with her husband. Upon return, they’ll move away as she starts a new job in another city. Not that they live with us but temporarily they’re living nearby. One of our triplets flew the coop to play baritone with Drum Corps International, (DCI) in the Cadets. He is spending his days combining music, marching, and athleticism to travel the states competing against other Drum Corp bands. So, he’s working ridiculously hard but in a different way from his siblings at home in the nest. The two remaining nineteen-year-olds are truly back on the farm, helping us with chores and long overdue tasks. It’s as if they are working for their room and board. Without complaint or other more pressing plans. Crazy! Who are these people? 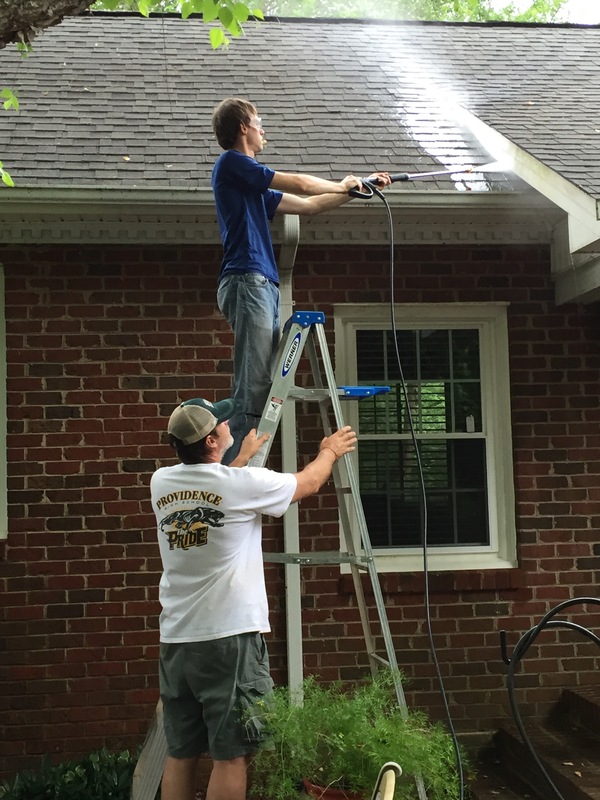 Here are a few major accomplishments: Cleaned and pressure washed gutters and siding. Trimmed shrubbery. De-grassed sidewalk cracks. Cleaned fireplace. Groomed dog. On-going projects like mowing, cleaning out closets and organizing stuff. Plus, they grocery shop, run errands, and cook. Praise be! Oh, and they’re pet sitting and lawn mowing for their older sister and brother-in-law. I know this situation is temporary as they have other obligations coming up but it’s sure nice while it’s lasting. We’re eating good, playing games, watching movies and catching up with our newly grown up college kids. I love this nest. I’m happy to know a couple of the chicks stayed in the nest, Lisa. Great photos! Me too. I’m enjoying them so much. Thanks. Wow! It must feel great, Lisa. The chicks are becoming the accomplished adults they were meant to be! It feels terrific. Getting spoiled. Thanks so much. I value your opinion greatly. You’re my most honored fan. There’s nothing like having the kids back home. I’m happy for you — and that they cleaned up! Oh, yes. I’m very impressed with their newfound abilities and maturity. It’s all good.